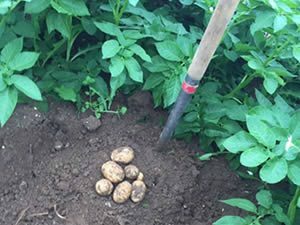 A new root crop we are growing this year is the potato. 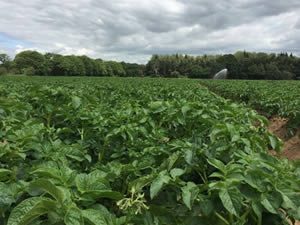 We have planted approximately 30 acres of organic potatoes in April. The crop is mechanically weeded at various intervals to keep it as weed free as possible. We plan to harvest the whole crop in September.